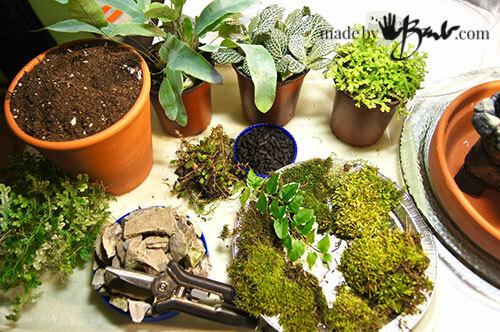 Do you sometimes get busy and forget about your houseplants? 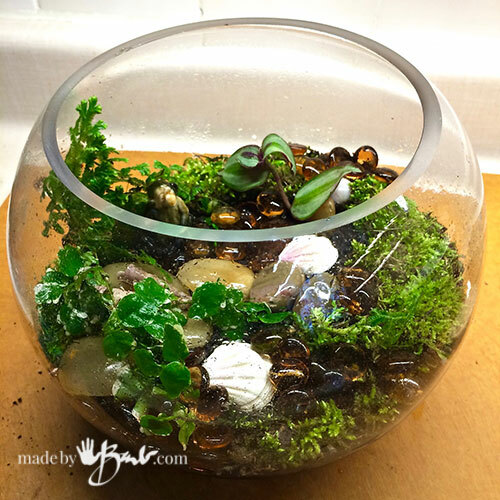 Sure, then a terrarium is perfect for you! Isn’t it heartwarming to see something green and growing when it’s frosty outside? Mine just turned 3 years old. They are pretty fool proof and don’t get that ‘sad houseplant’ look. Once they get growing you can propagate from them and make more. 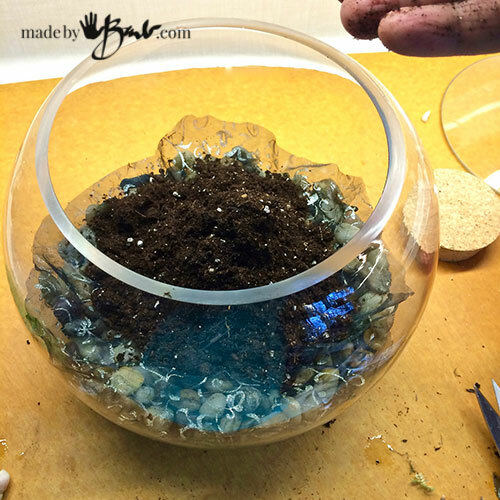 Any large container can work… even without a green thumb. A while back it seemed we had hit spring so I couldn’t resist harvesting some moss. Check around the dark and damp areas of woodlands and trees. Moss usually comes off in sheets quite easily. I’m not tooo worried about ‘tag-alongs’ since the terrariums are closed. 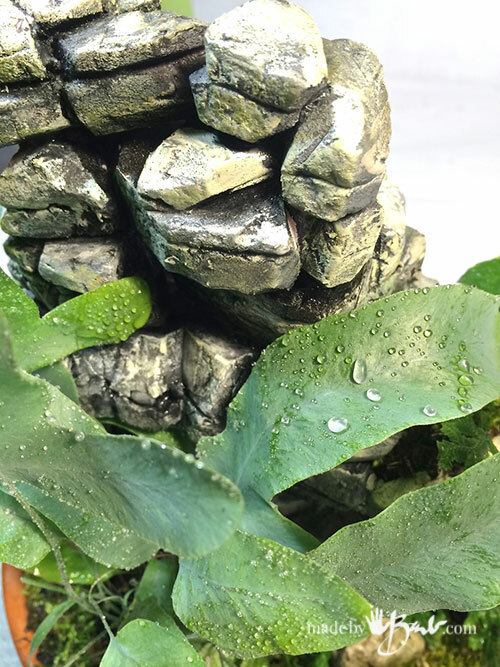 moisture loving plants like Clubmoss, Polka Dot Plant, Blue Star Fern, Creeping fig, Nerve Plant. It all started with the waterfall that I built for the beautiful massive cloche I found. 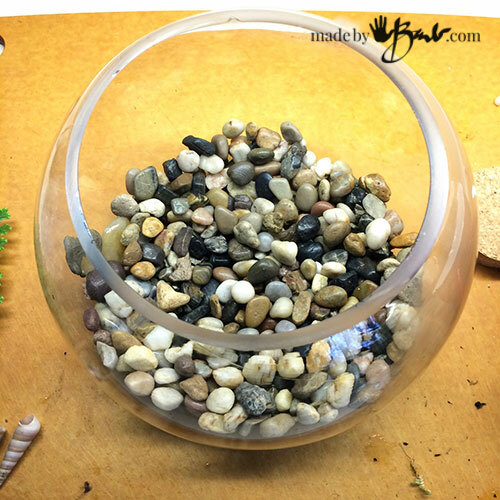 Fill the container with at least an inch of stone or gravel. This will not be visible so I am using regular non-fancy gravel. If it is visible you can use some interesting colours and layers. 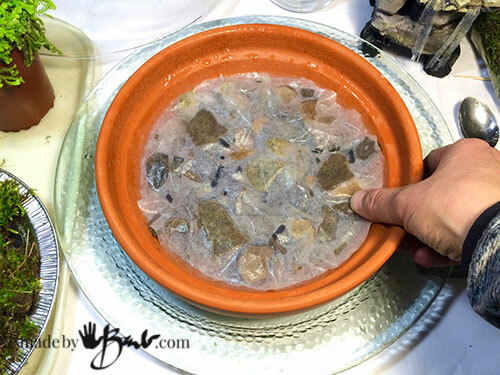 Shake in a few spoonfulls of charcoal (see black specs)to the stone to help absorb any impurities. To provide a barrier before the soil layer use some fabric (dark colour hides in soil colour) or coffee filter. Wetting it helps settle it. Flatten in nicely to provide a good base. Top with damp soil keeping in mind that some of the plants will have a root ball attached. 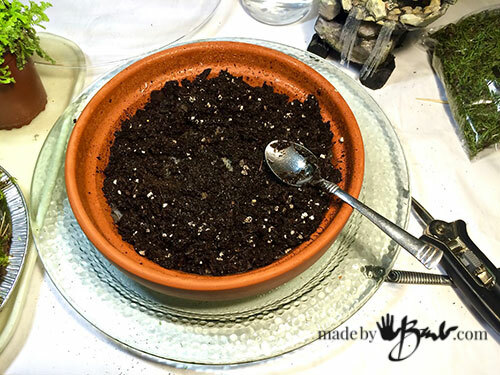 It is easy to spoon in extra soil later as well. If you are careful, it is possible to do without making a huge mess. 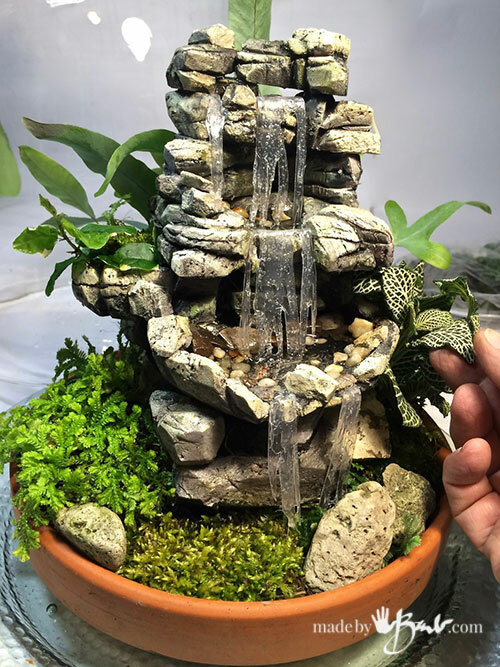 Sit the ‘waterfall’ where it will sit. The plants have been snugged in around the falls and moss is tucked into the spaces. 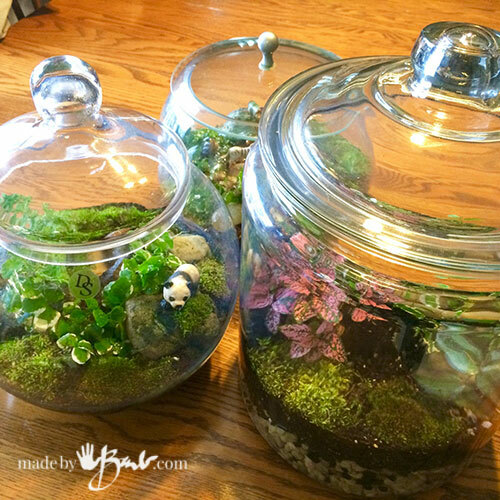 It is best to use a spray bottle to water and maintain terrariums. 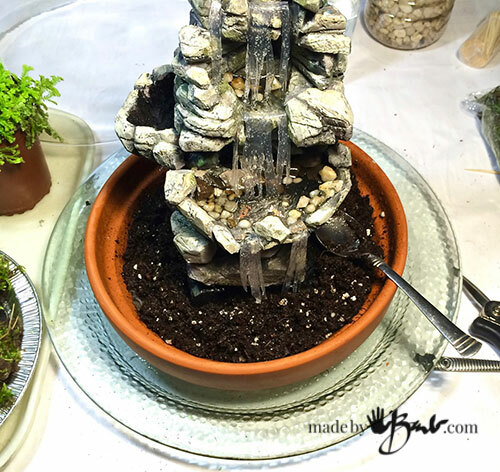 The ferns love moisture so give them a helping start. Voila! Beautiful hall entry piece. It will have some indirect light but not that much. Ferns like medium lighting. This Clubmoss grows like crazy in the moist terrarium conditions. I have to sometimes chop the ‘jungle’ back. Look closely and you will see the little roots that it sends out. 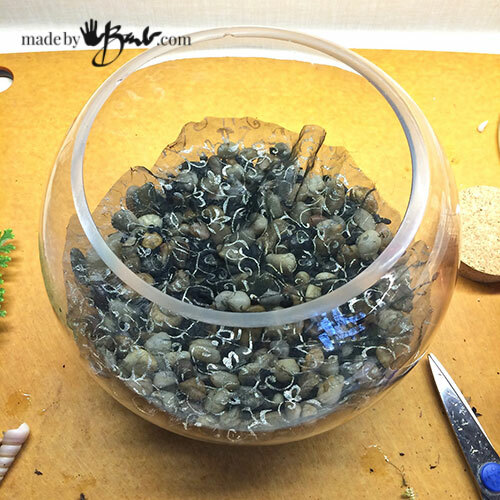 These propagate easily by tucking into another terrarium. 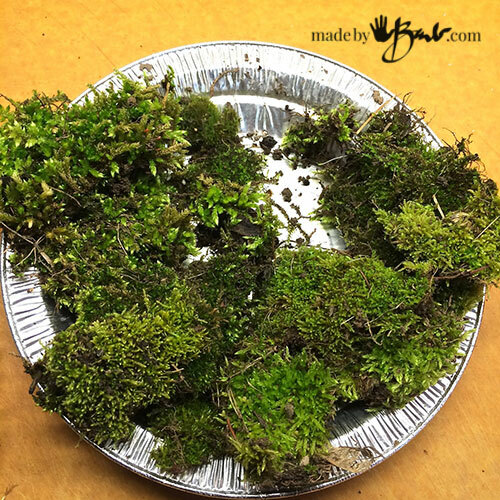 The harvested moss can stay in a damp plastic bag for a few days waiting for a new home. 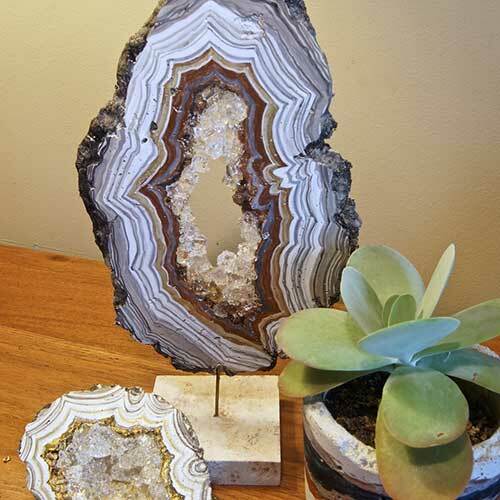 Visible stone can be layered or kept simple. 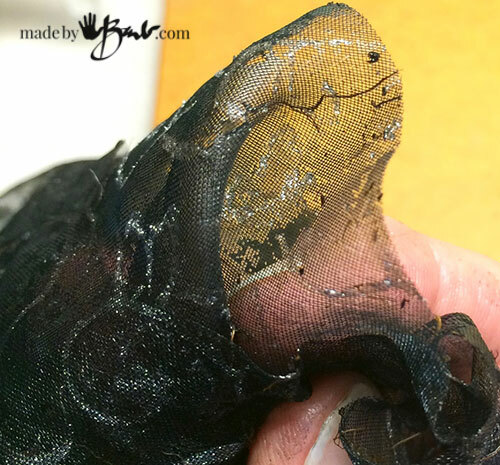 Mesh fabric that allows water through but keeps the soil from sinking into the stone layer, thus keeping it cleaner. Make sure it fills the surface completely. 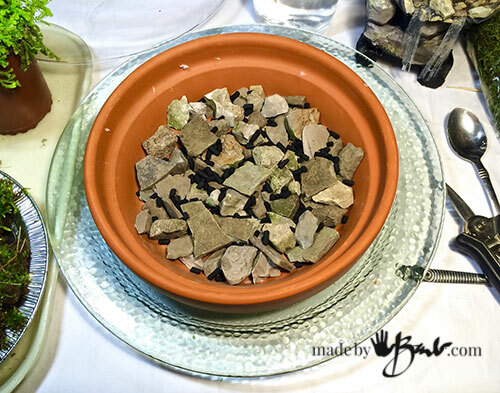 Add a few spoonfuls of charcoal and then a layer of soil. DO not add to much until you have placed the plants. 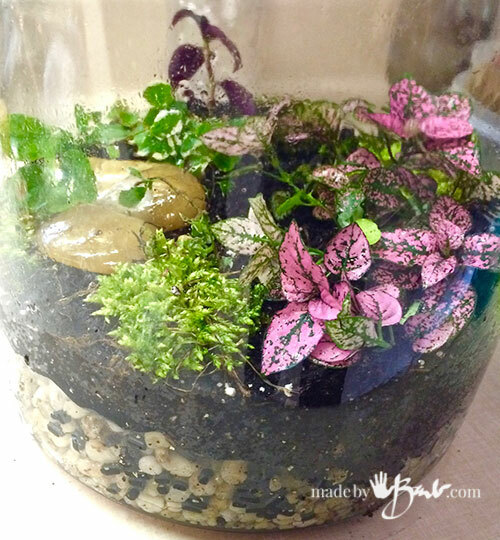 This terrarium is planted with cuttings from the other ones. I like to arrange the plants with open spaces since they fill in so fast. Add some rocks or make some terrain. Since this container did not have a lid, I cut the metal band off a pot lid to create a nice top, hence the steam hole. You can have fun adding some critters or other things to mimic reality or fantasy. 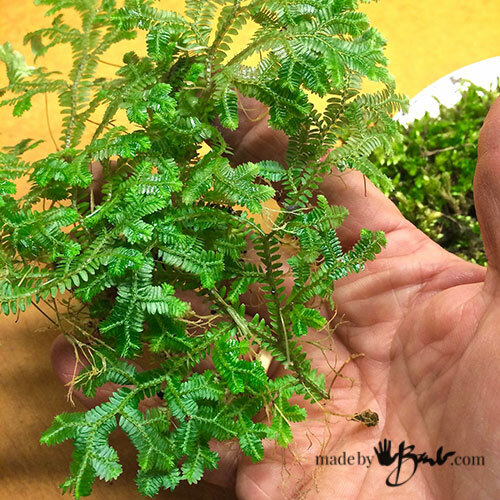 Once you have a few growing you can multiply by cuttings and make great gifts. You will see steaming on the glass at certain times which acts like rain to provide moisture. If the amount of moisture is right it can almost sustain itself. 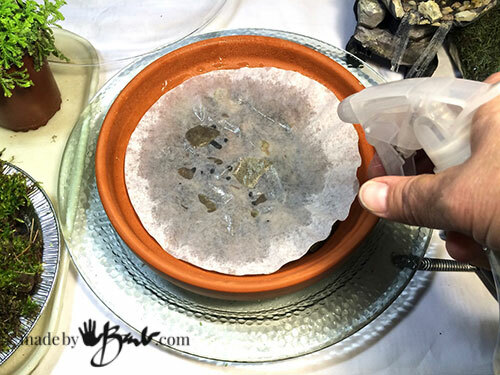 Check to see if soil has moisture once in a while. If it is too close to a window you may develop some green algae growth due to the moisture. Move it further from the window or use filtered light. Every few months I will wipe down the glass with a microfiber cloth. It doesn’t take a really green thumb for this. If you open it up and stick you nose in it will smell like a forest. 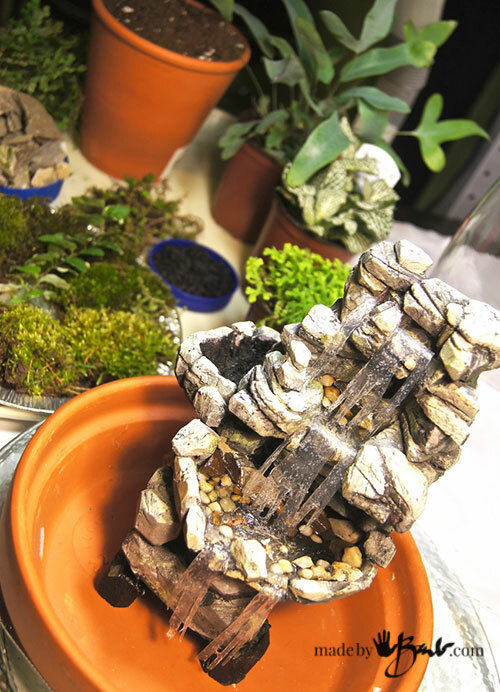 Ah nature is so wonderful, and you have a miniature garden to make you smile. 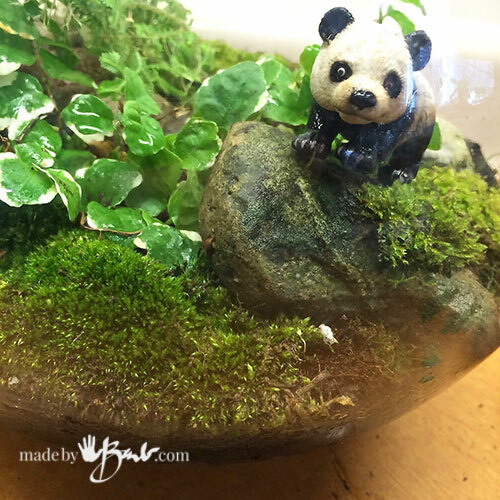 These are all beautiful, I love the panda you added it gives it a nice added touch to the forest look of the plants. Thank you for your great displays and how to do it yourself. Thanks! I guess all the hiking while growing up rubbed off somehow. I bet they even lower blood pressure! Enjoy! so gorgeous + eau de forrest … best smell! 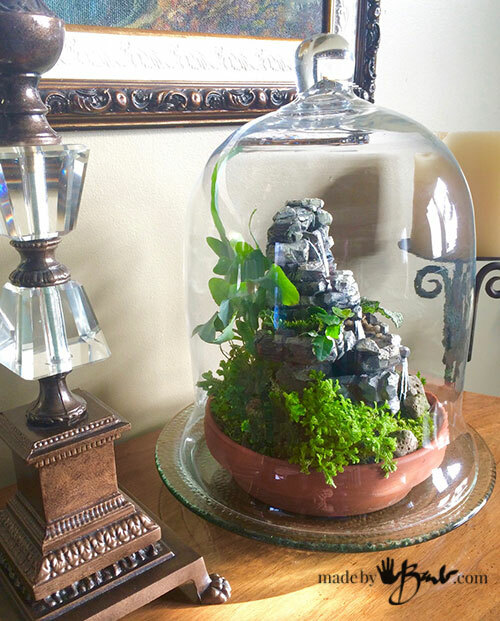 What a fun project, I just bought a lovely glass cloche as well so I’ll be keeping it in mind. 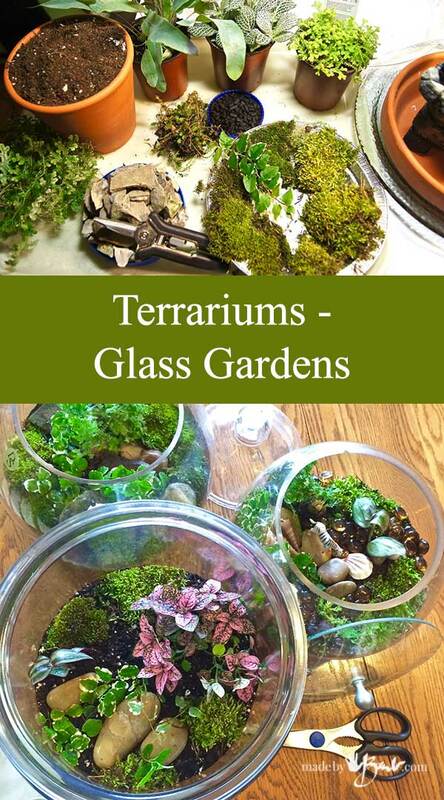 Terrariums are the new big thing. I haven’t made one myself but have been wanting to for a lot time. 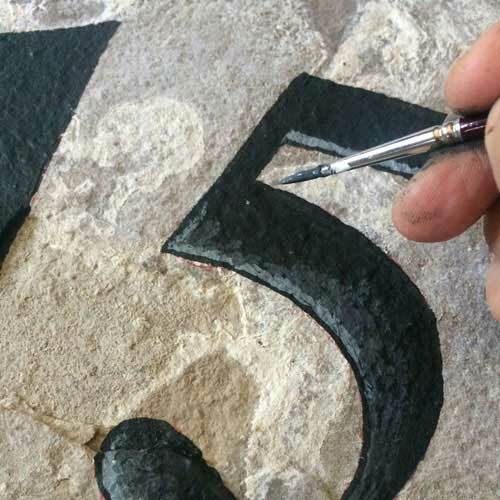 This is a great step by step guide on how to make one yourself. 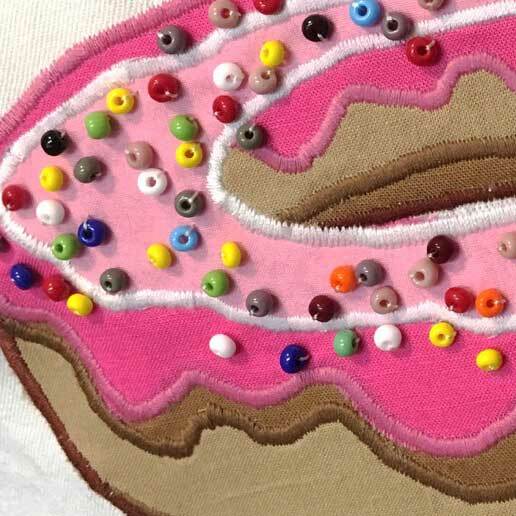 It is something that is easy to make once you have the supplies you need; it is also a great way to decorate your house. 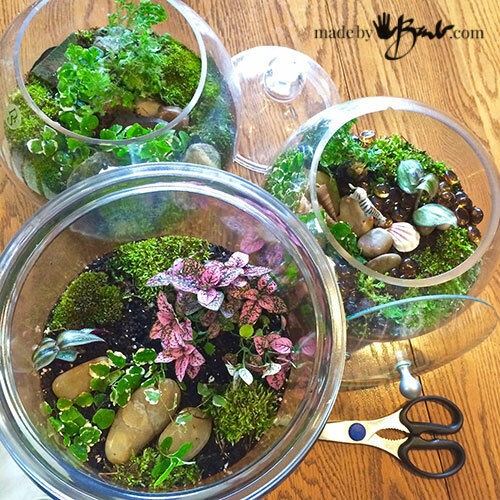 Making a terrarium is definitely something on my to do list now! I have some that I made years ago. I sometimes forget about them completely as they don’t need much care. If it is in a ‘happy’ spot sometimes I have to go in and cut down the jungle, or pull some out and propagate into more. They are great since they are neat and tidy… Good luck. 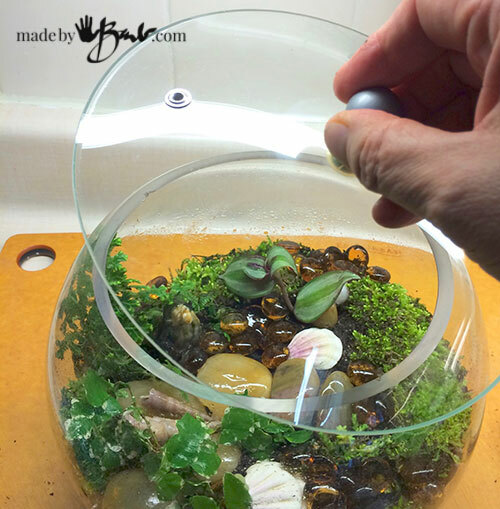 Check out my cloche tutorial for more plant options.